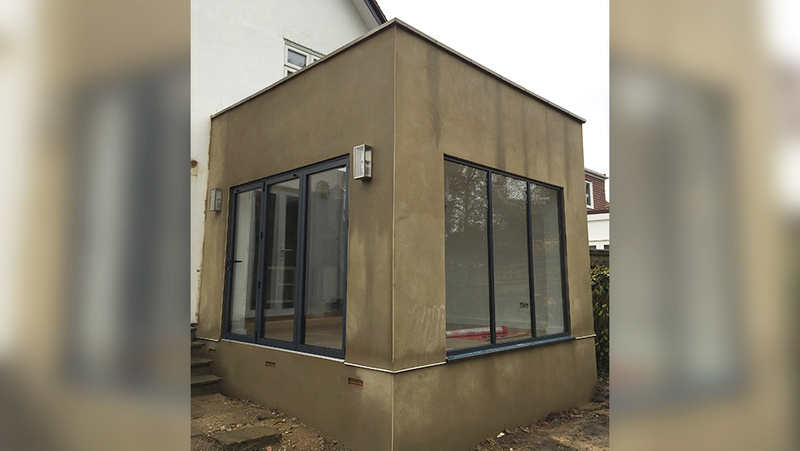 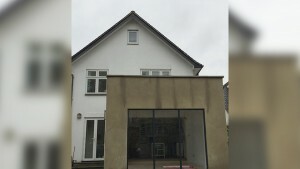 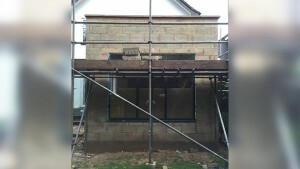 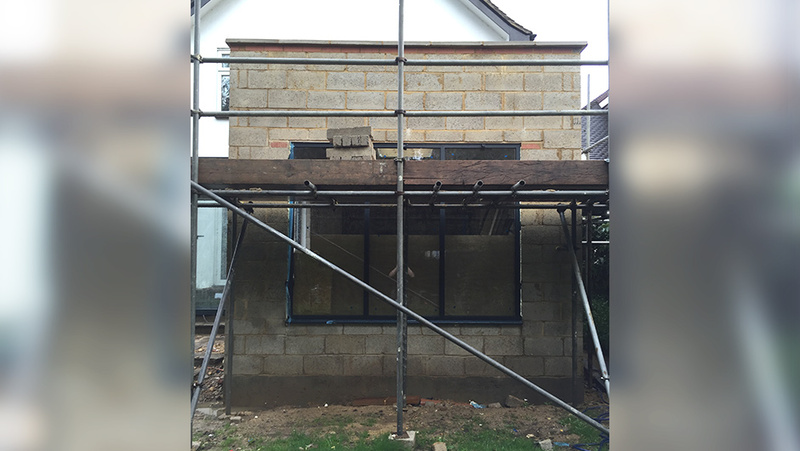 A current project, Single Storey extension with a parapet wall around the top finished with a white coping stone hiding the flat roof detail. 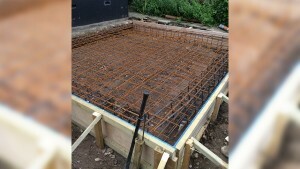 The foundations had to be constructed using a reinforced raft design due to the ground conditions. This job is complemented well with stylish grey aluminium bi fold doors and floor to ceiling aluminium windows allowing a great view across the gardens.